I'm not sure if you noticed, but things have been a little quiet around here this week. I didn't mean for it to be that way, but sometime late Sunday night I got knocked right off my feet by a nasty cold that left me sleepy and whiny and incapable of consuming anything but plain whole wheat noodles with butter, rum raisin cookies, and mugs of steaming TheraFlu. The latter, by the way, is delicious. It's like a hot cup of Minute Maid soda fountain lemonade. Someone on Twitter pointed out that in "real life," TheraFlu is actually not delicious, and that the fact that I think so is a clear indication that I'm still ill. I guess I'll have to wait a few more days before I can confirm that theory, but for now...Om Nom Nom!! Pass me the TheraFlu, please! Next week I'll be back to my regular posting schedule, with a few posts about the food and hi-jinx and more food that Eugene and I got into on our little getaway this past weekend. Until then, I'm excited to share with you the second installment of the Friday Sticky Books column here on Always Order Dessert. This week, we're featuring Lori Lange of the incredible recipe and entertaining website, RecipeGirl.com. Note: If you're just learning about the Sticky Books feature, click here to read more about the project. 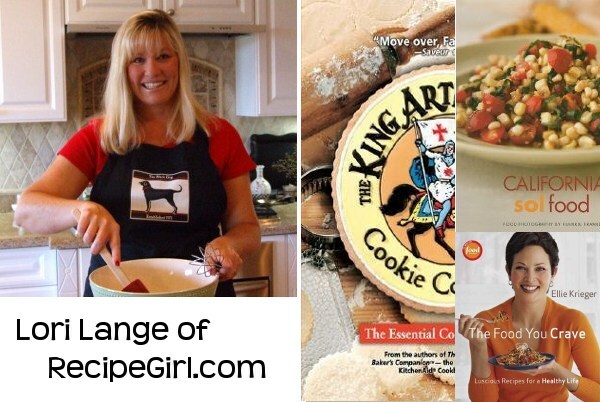 A former elementary school teacher from San Diego, California, Lori Lange left the classroom in 2005 to start RecipeGirl.com. Lori now spends her (incredibly enviable) days cooking, baking, and photographing food for her website which houses a collection of more than 2,500 original and adapted recipes. The site also features a food blog and a searchable database of entertainment menus for all occasions. 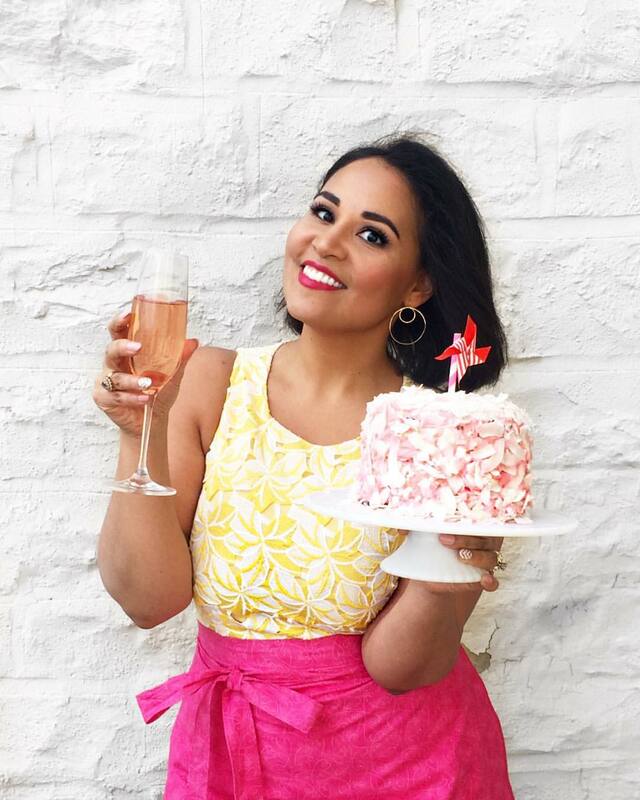 When I sent her the interview, Lori hinted that she's also got a brand new food blog in the works, so be sure to keep checking her site for more details! This one is near and dear to me since I was involved in the recipe testing and selection for this book. The recipes are divided into 'times of the day' (brunch, happy hour, dinner, etc) and each of them is representative of the fresh, seasonal flavors of Southern California. I've made over half of the recipes in this book, and they've all been fabulous. My favorite is a recipe that came from my family's kitchen: Summer Salad. I've recommended this salad to so many people, and it inevitably becomes their favorite too. I also really love the Margarita Cake. I'm addicted to baking, and cookies are my favorite thing to experiment with. There are so many recipes in this cookbook that I don't think I could ever possibly ever get through them all, but I intend to try! For many of the cookie/bar/snack recipes, there are multiple variations listed. My all-time favorite recipe from this book is the Cinnamon Bun Cookies. Magic in the Middles are a must for Chocolate-Peanut Butter fans. I picked up this cookbook on a whim, and I can't believe how much I use it. This is the cookbook I turn to most for quick and healthy meals. I've never watched Ellie Krieger on Food Network, but her recipes are reliable and delicious. They're easy enough for a novice cook, and gourmet enough for an experienced foodie. My favorites: Chickpea and Spinach Salad with Cumin Dressing and Fish Tacos with Chipotle Cream. Remember to check back every Friday for more Sticky Books from your favorite bloggers, and in the meantime, I'd love to hear about your favorite cookbooks below! Love the Sticky Books concept, and love Recipe Girl! Great picks-- Ellie Krieger's book is one of my all-time favorites too, I'm even part of a blogging group that makes a recipe a week from her book. Looking forward to more of these posts! Great interview with Lori! One of my fave bloggers. I LOVE that Ellie Krieger cookbook, too. Great and easy recipes. lori is one of my favorite food bloggers. Nice interview. I love Lori - what a great interview and such a neat idea! I love it! I have to second what Amy I. said! LOVE the Sticky Books concept and Recipe Girl! And if Recipe Girl says she likes certain cookbooks, it's time to listen up! Sounds like I'll be adding 3 more cookbooks to my wish list!